IELTS candidates who are struggling with their listening skills may find micro-listening exercises quite useful in understanding how words are uttered. The website below shows clips of films, containing words, which the listener will then have to guess the meaning of, in context. You can either watch the clip with or without subtitles, but I strongly recommend that you listen to them without, and try to make sense of what the speaker actually means. If you don’t understand how this website works, have a look at the video below that explains how you should do the exercises. This is a great resource for English students who are struggling with understanding English in various situations because sometimes meanings get lost in translation when listeners don’t really grasp the speaker’s intention. In particular, IELTS students suffer from this because words are often taken at face value, and as a result, candidates misconstrue meaning and fail the test not just in IELTS Listening but in the IELTS Reading test as well. 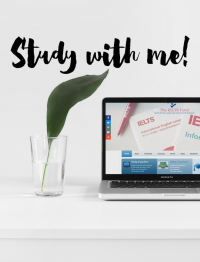 So, limiting yourself to only IELTS materials is just plain useless if you deny yourself the opportunity to embrace English in all forms and varieties.